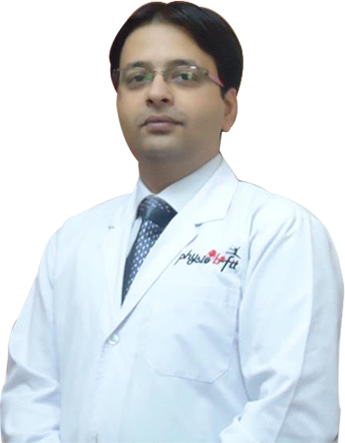 Having completed a decade in the program, the focus lies on strength training and toning of muscles from the chin below full body. 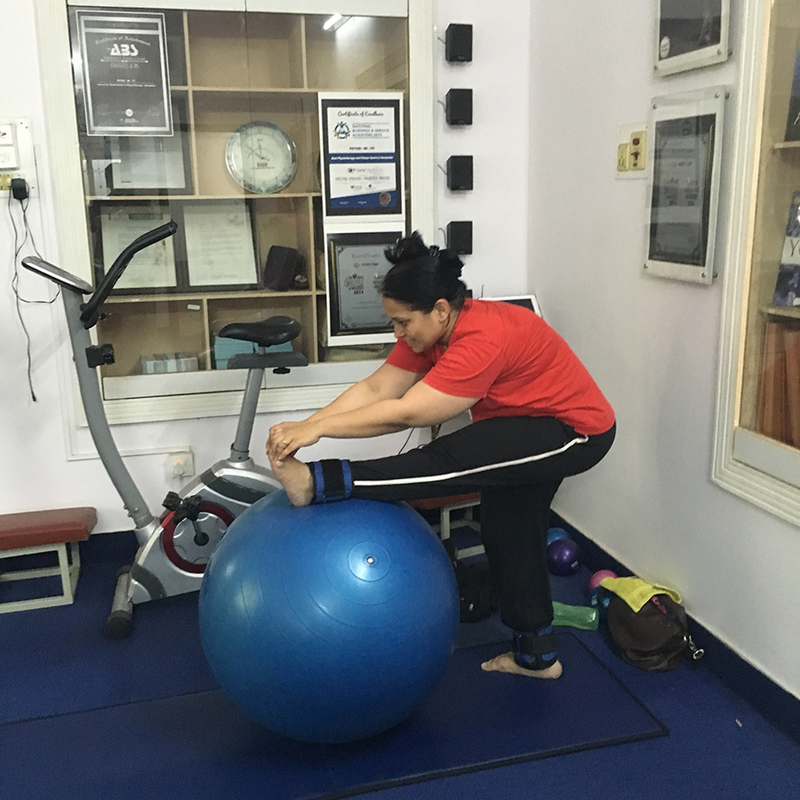 The primary benefit of exercising with a swiss ball is that the body responds to the instablility of the ball to remain balanced, engaging may more muscles to do so. 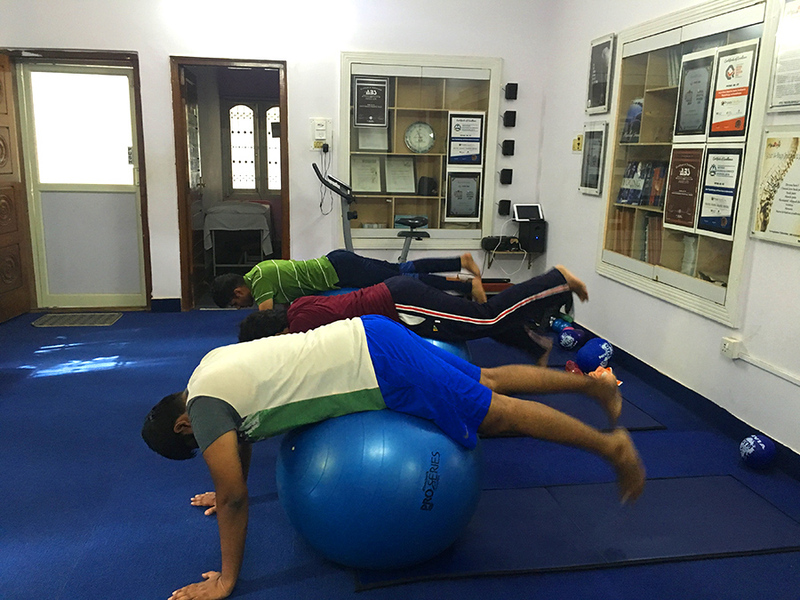 The core body muscles i.e the abs and back muscles are the focus of the ball fitness program. The muscles become stronger over a period of time to keep a controlled and a well tones, balanced body. Using a Swiss ball as part of a fitness program can include a wide range of difficulty levels, each requiring support from the back and abs that help firm up the trunk muscles in the body. Increase strength and tone the core muscles. Imporve lower back mobility, develop overall control of the body. Improve balance, stability and proprioception ( joint position sense). Learn proper body mechanics and posture while lifting objects.